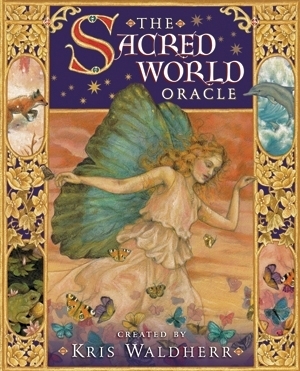 With stunning artwork by renowned artist Kris Waldherr, The Sacred World Oracle celebrates the beauty of the earth and the diversity of its creatures. 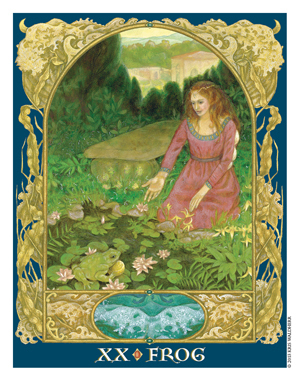 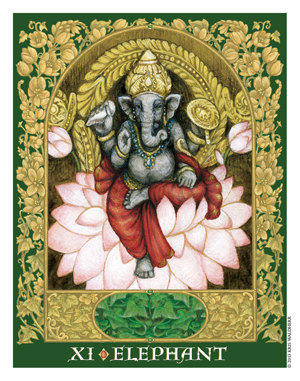 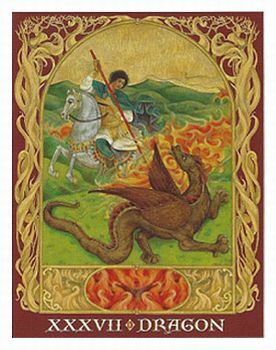 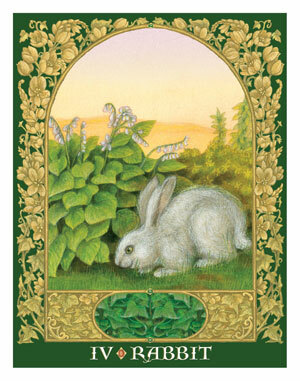 Drawing from mythology, folklore, and nature this deck offers gentle guidance and practical wisdom for all of life�s challenges. 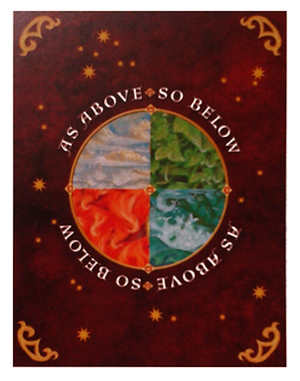 The Sacred World Oracle is comprised of 44 oracle cards organized into four quadrants representing the four elements: earth, air, water, and fire. 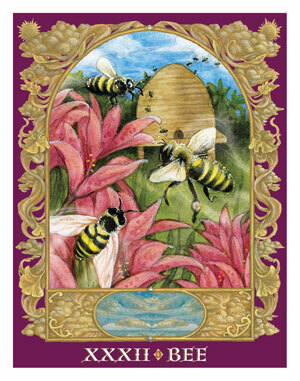 Each color-coded quadrant is associated with ten different animals. 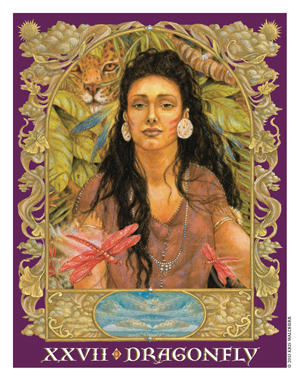 The 48-page booklet presents keywords and a narrative description of the mythological significance of each card. 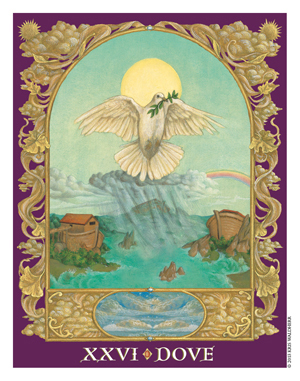 This deck fits well in a Regular, Double Draw, or Silk Tarot Bag.